Viking Star spends the warmer months of Europe’s summer, from June to September, discovering the land of the Midnight Sun and passage of the Vikings, with cruises from Bergen, Greenwich and Stockholm. In the Mediterranean you can cruise from Barcelona, Rome, Athens or Venice with cruises ranging from seven to 12 nights. 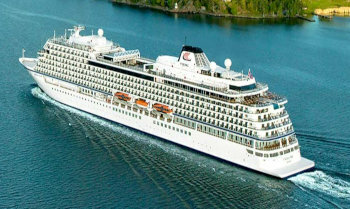 During the colder European months of 2019/19, from October to February, Viking Star thaws in the beautiful beach cities and tropical islands of the Caribbean. Cruises depart from Miami, Los Angeles, New York and Montreal, and range in duration from 7 to 21 nights. Don’t forget to look out for Viking Sun‘s fantastic Cuba itineraries. View all Viking Star cruises, view a selection of Viking Ocean cruise deals, or view more options for Viking Ocean cruises.